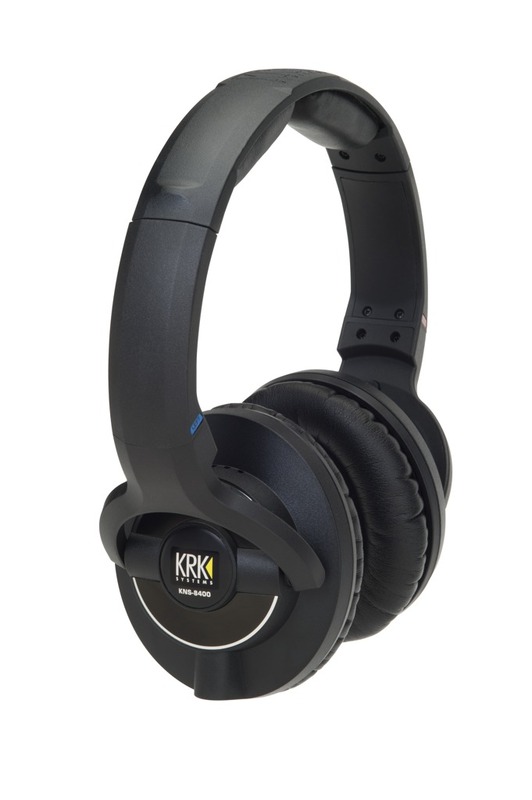 KNS 8400, Studio headphone from KRK in the KNS series. Angela Johnson's review"Excellent For Recording, Mixing And Mastering"
I use this product for recording, mixing and mastering! You can replace all parts if anything wears out! It comes with and extra cord to add a volume control fader switch and extra length, or keep that extra cord for the option. It easily attaches and detaches. These are closed ear headphones. They do not distort. In comparison with other pro headsets, I will gladly keep mine. You get all the details and they adjust in several places. I've had them on for hours and they are comfortable. These are specifically designed for mixing. The price is great for what you get. They come with a bag to travel, but also you can turn the ear pieces so they don't get crushed. I have referenced many headsets in the studio and in comparison these are worth looking into. You will be pleasantly surprised. 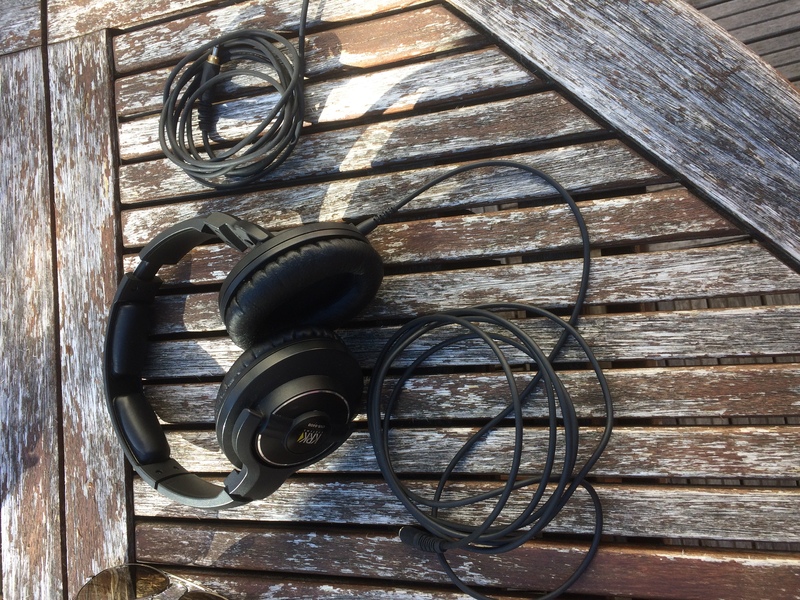 etien96ne's review"Very good headphones combining comfort, sound and value for money!" After one and a half months of use, these headphones are really perfect and haven't disappointed me. I don't really see any cons, except maybe that they are a bit light. In any case, there's nothing that justifies the price difference between the KRK KNS8400 and the Shure SRH940si, other than what comes on the pack. I would certainly buy them again today. The only thing I'm unsure about is how long they will last. But I'm not worried, given the quality of the materials. I use these cans to listen to music and also for my home studio. 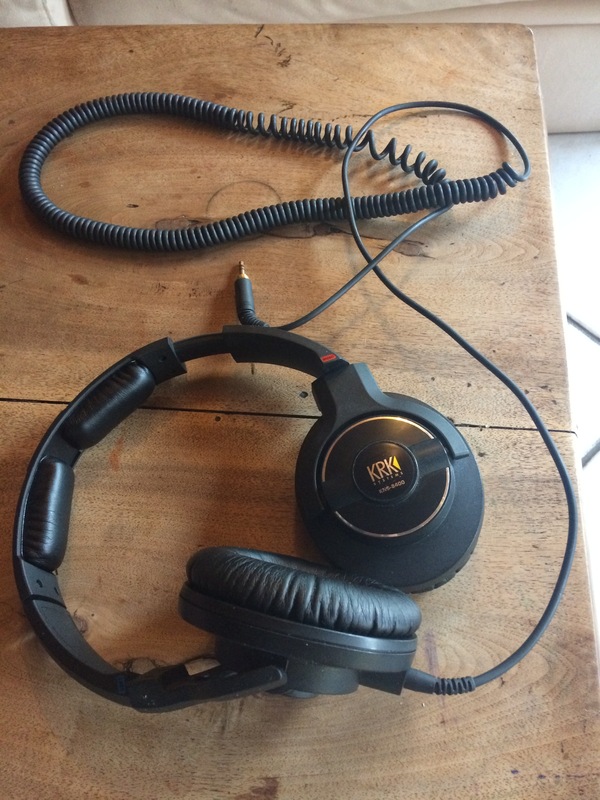 They are my first "pro" headphones, although I had several hi-fi models before. I compared them to the Shure SRH940, which cost about 100 bucks more! 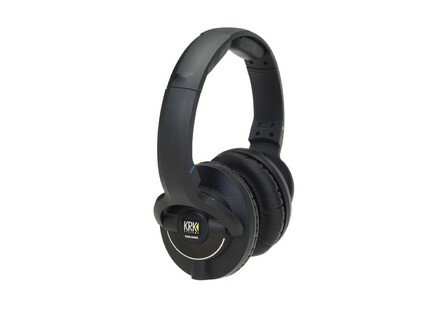 They are really pleasant, light, the materials give you confidence and the ear cup foams are really über-comfortable!! They are so comfortable that simply putting them on gives me pleasure! You can easily forget you have them on. However, they don't stay that well on the head, but it's all right for studio headphones. Compared to the krk, the shure seem really cheap: They are made of rugged plastic parts that don't fit together well and they make noise... The ear cups aren't as comfortable and the foam on the headband hurts the head. In terms of packaging, they are not exceptional: They come only with a cable (another coiled cable would've been nice), which is of good quality. 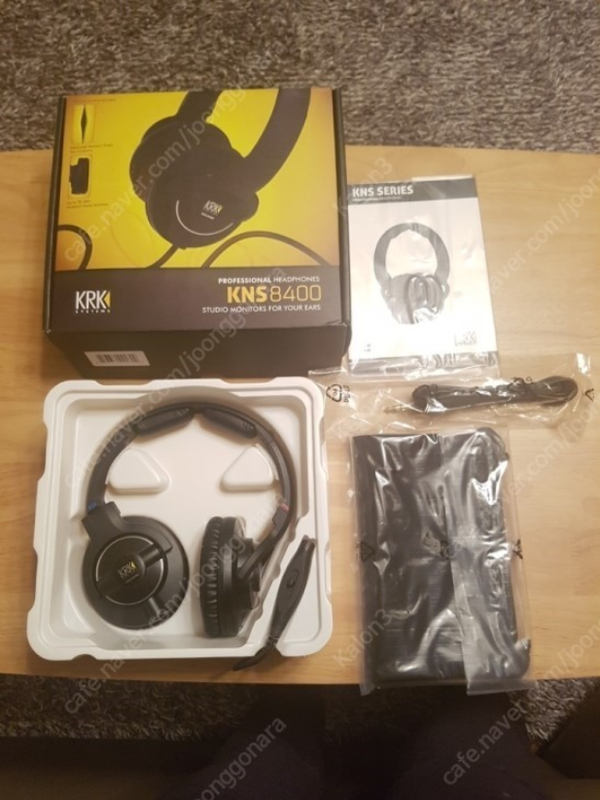 It also comes with a screw-on adapter, a leather pouch, an antibacterial cloth and a detachable volume remote control, which is very practical because it doesn't alter the sound quality at all. In contrast, the Shure has a really comprehensive packaging with a straight and a coiled cable, spare foams, and adapter and, especially, a rigid box. That probably explains the 100 bucks difference. In terms of sturdiness, I can't really say much because I've only had them for 1.5 months. However, the materials inspire a lot of confidence, compared to the Shure, which feel really cheap. In terms of quality, after breaking them in, these cans easily blow out all the models I've had before! Even hi--fi headphones at the same price point! They are precise, well-defined, airy. The basses are present, which is exactly what I need for electronic music. That's a real change with regard to my older cans, which had not much lows. My only point of comparison are the Shure. Both are similar in the low end and mids, but when it comes to the thighs, there is a difference. I think the KRK are better defined. The Shure have some dips in the mid highs, which make the sound a bit "duller." This makes the mixes sound less airy than with the KRK, and the overall sound is a bit muddled. I've been using them actively for two months and, after having tried out lots of headphones, including some really expensive ones, these ones really stand out. Their frequency response is really flat, although the previous reviewer said they sound bright. It's true in the beginning, before breaking them in, but after 24 hours they sound really good and have a divine precision in the lows. I'm rediscovering songs with details I had never heard before. A simple example, I had never noticed that in "Like Fire" from Bloodbath, there's voice shouting "Like Fire" in the background throughout most of the song. But you can hear that clearly with this headphones. I have tested other headphones and listening systems but haver never heard this effect. It goes to show the quality of these headphones. They certainly have the same spirit as the KRK speakers, which is great. They are perfectly isolated and feel really comfortable on the ears. The only thing I would criticize about these headphones are the two small pads on the head. They make my head hurt after several hours. So I put on a cap and the problem is gone. TRULY unbeatable value for money. I've been using them for nearly a year. 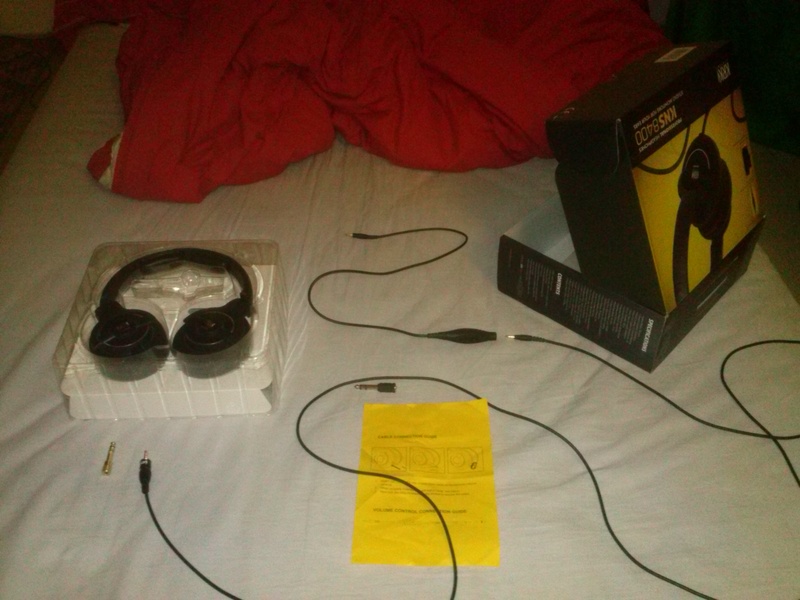 I used to use cheap headphones before (about 30 bucks). Pros: Solid cans and they come with a bag (which is useful to protect them).